In Japan many people start their winter holiday/break time today. Most schools also started their break this week. We started a little earlier as we kept Zilla home from school to celebrate Christmas. 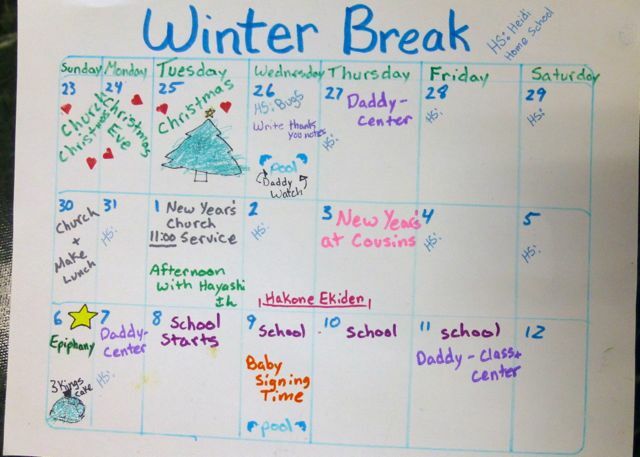 Making winter break - summer break - spring break - enjoyable may take a bit of planning but it is so much better than hearing kids fight & squabble for days! 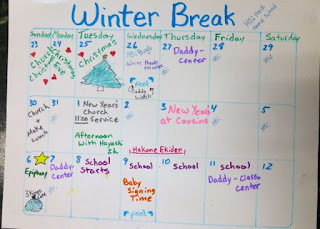 As we go along we've added things like which room to clean that day (end of the year thorough cleaning it a Japanese tradition), dentist appointments, what we did in homeschool each day and anything special that comes up. My proof that it works - Zilla woke up asking for Houdini Homeschool! Any day off of school, or even half day, he usually asks the same thing. Kids love to learn. They are naturally very curious. 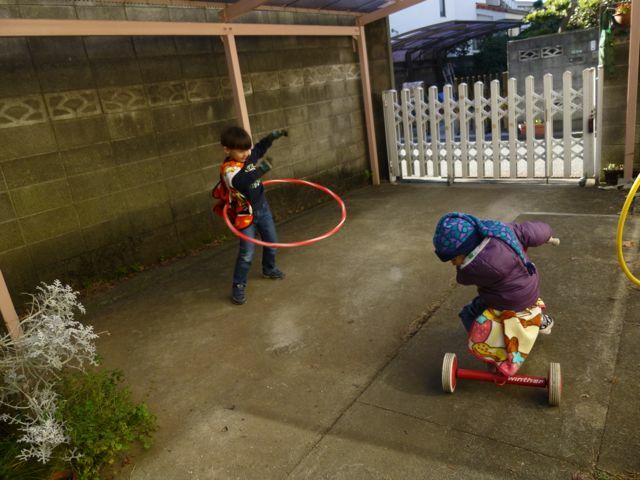 If you give them something productive to do, something that they are honestly interested in, then they are less likely to do things they shouldn't be doing or to have sibling fights. Around the age of 2 we started out with regular activity times in the morning and after the afternoon nap. Depending on the day these time slots can last anywhere up to 3 hours. I don't have a lot of time for planning & preparing activities so I try to keep it simple. 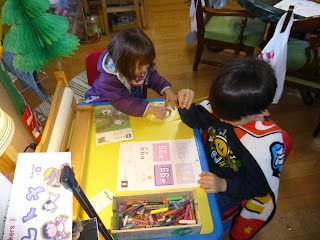 We start with some sit-down work that includes coloring, writing, stickers, cutting etc. These activities often come from a Gakken, Kumon, School Zone or similar workbook. Sometimes they are Montessori print-outs. The reason we start this way is because my kids will most likely go through the Japanese school system which has massive amounts of written work. I want them to get used to doing it now. I also want them to see how other tools can be used to enhance their written work by combining the workbook based activities with the non-workbook activities. On a typical day Zilla, 5 yrs. old, does 2 pages in an English phonics book, 2 pages in a math book, 2 mazes or dot-to-to puzzles and a cutting/pasting activity. Most days this takes him about 30 minutes. Mega does some stickers and coloring/writing. She also enjoys cutting/pasting and stickers but we don't do that every day. After the workbook activities are finished the kids move to the activity shelf to choose something to work on. I try to have out a variety of activities at each of their levels. They each have a rug to lay out so they can work in their own space. The shelf activities last about an hour most days. I need to be available to help when they ask for help so I stay near by and only work on things that are easy to put down during that time. If we have a special activity we may do that before the shelf activity time. Some special activities include making holiday or birthday cards, a seasonal project or something that requires special preparation such as painting. Another part of our homeschool is to get outside for at least 30 minutes of play before lunch. It is often too hot in summer and too cold in winter to play outside for much longer than that. On rainy days we'll have a longer bath time or use the small hallway for bowling, care races or hitting around balloons.